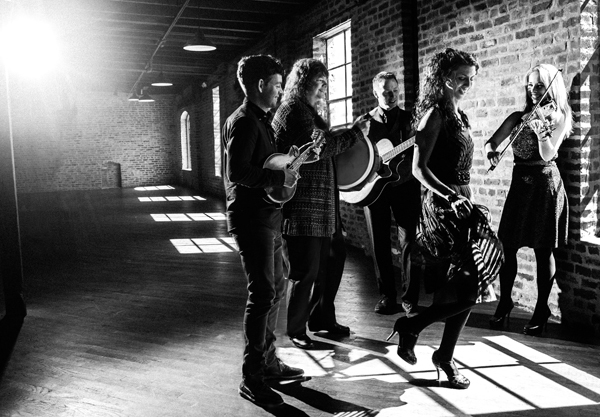 » Blog Archive » March 8 - Runa - 7:30 p.m.
March 8 - Runa - 7:30 p.m.
Quickly gaining recognition as one of Irish music’s new “super-groups,” RUNA has been enchanting audiences by pushing the boundaries of Irish folk into Americana and roots music since their formation in 2008. Interweaving the haunting melodies and exuberant tunes of Ireland and Scotland with the lush harmonies and intoxicating rhythms of jazz, bluegrass, flamenco and blues, they offer a thrilling and redefining take on traditional music. RUNA consists of vocalist and step-dancer, Shannon Lambert-Ryan of Philadelphia, Dublin-born guitarist, Fionán de Barra, Cheryl Prashker of Canada on percussion, Maggie Estes of Kentucky on the fiddle and mandolin, and Zach White of Missouri on mandolin, vocals, banjo, and flat-picking guitar. The group has been honored internationally, winning Top Group and Top Traditional Group in the Irish Music Awards and three Independent Music Awards including Best LIVE Album, Best World/Traditional Song, and Best Bluegrass Song. RUNA recently released their fifth album, RUNA: LIVE, which was recorded at the BlackRock Center for the Arts in Germantown, MD on Thursday, March 17th, 2016 Receiving lavish praise on both sides of the Atlantic, the album has been hailed as “an incredible masterpiece” (Marcene Bronson, The Celtic Crier).